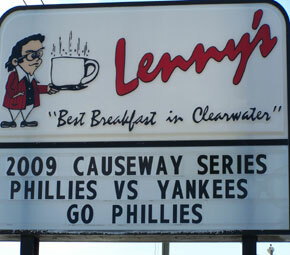 During my most recent trip to see the Toronto Blue Jays play spring training games, I went to breakfast at a place called “Lenny’s” in Clearwater, Florida. I first heard about Lenny’s when watching a Blue Jays season preview on Sportsnet. 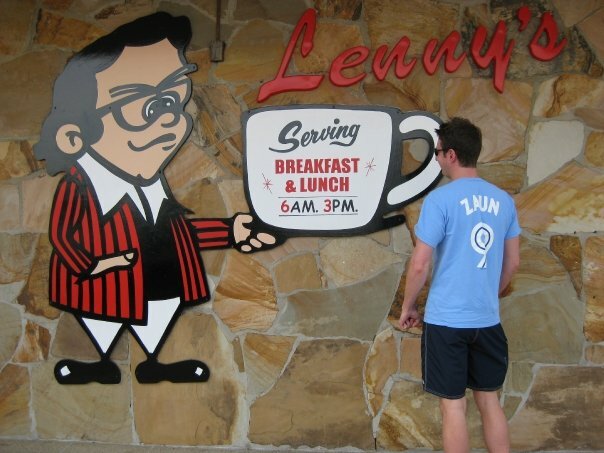 In the preview, there was an interview with Gregg Zaun at his favourite place – Lenny’s. 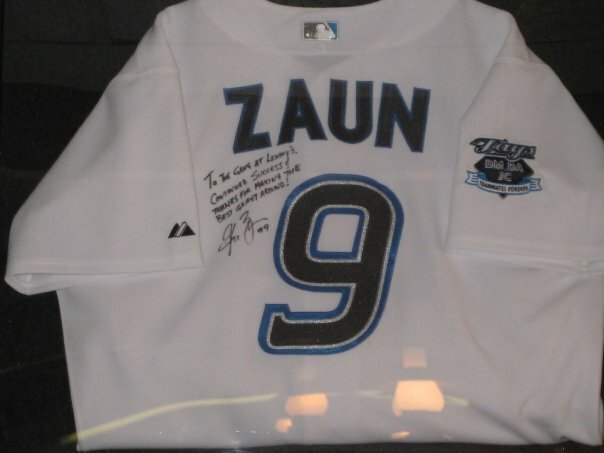 The infamous Zaun quote was “Some people like breakfast. Some people don’t like breakfast. 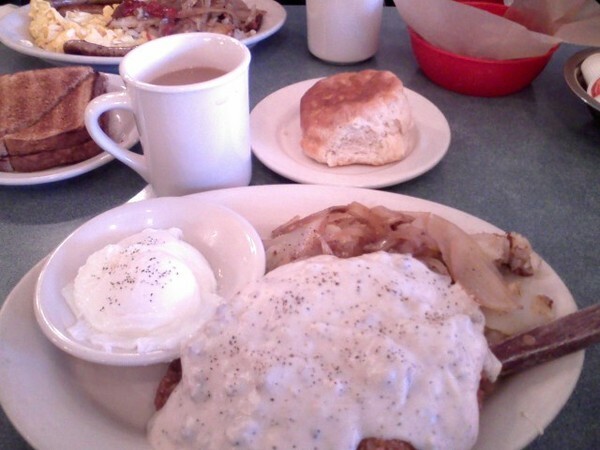 I like breakfast.” This was said while Zaun was sitting in front of a stack of pancakes as tall as I am. 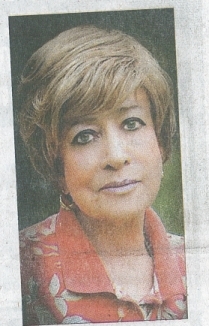 I was saddened to hear that the wife of Lenny, the founded had passed away only recently. Judy Farrell founded the restaurant with her husband Lenny in 1980. A popular hangout for Phillies players (Lenny’s is a block away from Bright House Field), Farrell played a maternal role to the minor leaguers who played there. 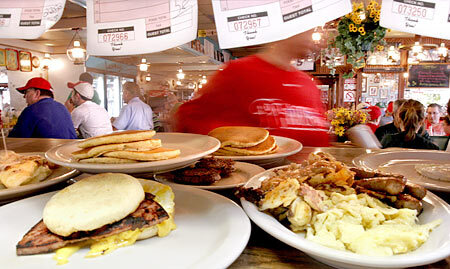 The restaurant closes daily at 3pm, yet Lenny’s would re-open on game nights to serve the ballplayers. Lenny’s best known feature is the “bowl of danish” that consists of 5 pastries: danishes, pinwheels, carrot cake, lemon tarts etc. It is free with any breakfast or $2.25 on its own. They also have some very delicious biscuits. 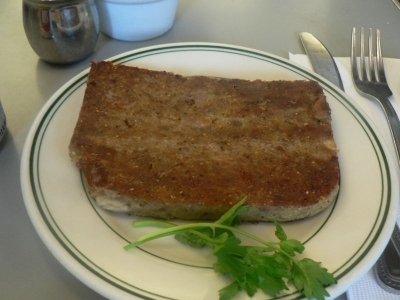 Another curious item on the menu is “scrapple.” Apparently it is regional cuisine associated with Philadelphia. So, to make Phillies Phans feel at home, Lenny’s has included it on the menu. When I asked the server as to what it actually was, she replied that it was the meat left over after hot dogs had been made. It goes without saying that you should eat this delicacy at your own risk. 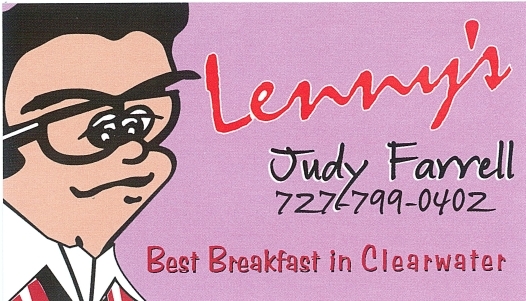 If you would like, you can view Lenny’s extensive menu here.